A mala is a string of beads used for prayer. Malas are made on the principle of the sacred number 108, so they will have either 108 beads or a divisible of that number: 54, 27 or 18 beads. They also have a Guru bead with a tassel hanging from it. 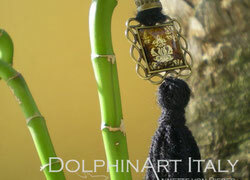 The tassel is considered the symbol of a thousand lotus petals. A Japa mala or mala (Sanskrit:माला; mālā, meaning garland) (Tib. threngwa) is a set of beads commonly used by Hindus and Buddhists. Malas are used for keeping count while reciting, chanting, or mentally repeating a mantra or the name or names of a deity. This practice is known in Sanskrit as japa. 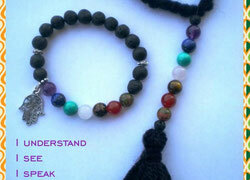 A mala is a great tool to help enhance your meditations. The use of a mala can help focus your meditation while adding the unique properties of the mala to improve the power of your meditation. 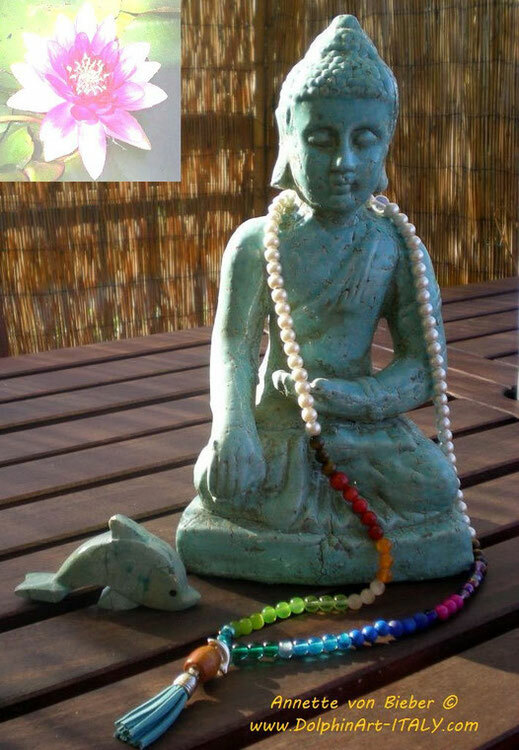 The amazing thing about meditating with a mala is that it combines Naad yoga (the recitation of sacred sounds), acupressure, gemstone therapy and a deep meditative practice. 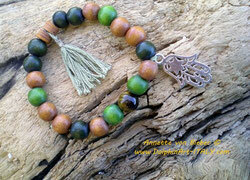 Malas are made from a variety of types of beads. 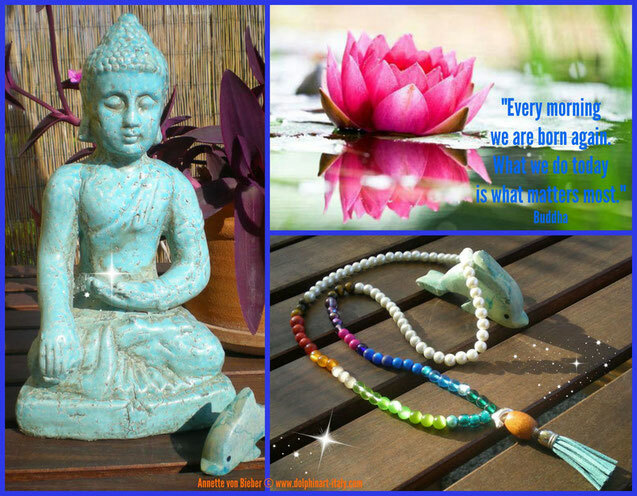 Integrating gemstone therapy into your meditation helps to enhance its results. When choosing a mala, it is important to choose stones that focus on the results you are looking for in your meditation. 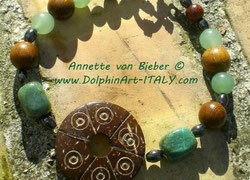 PLEASE, let me know which gemstones and beads you would like to have. I created this necklace for my friend Kathy with 108 different pearls, beads and gemstones, a tassel and a little dolphin and all the colors of a rainbow ~ Namasté. Today, even in the modern world, we are surrounded by symbols whose beliefs and traditions go back thousands of years. They have succeeded in their most important function of guarding and protecting their secrets and confidential information. The Hamsa Hand is a palm-shaped amulet popular throughout the Middle East and North Africa, and commonly used in jewelry and wall hangings.  Depicting the open right hand, an image recognized and used as a sign of protection in many times throughout history. The Hand of Fatima is said to protect the wearer from negative influences that are otherwise outside of their control like is believed to provide defense against the evil eye. Maṇḍala (मण्डल) is a Sanskrit word meaning "circle." Mandalas have spiritual and ritual significance in Hinduism and Buddhism. The term is of Hindu origin. It appears in the Rig Veda as the name of the sections of the work, but is also used in other Indian religions, particularly Buddhism. In various spiritual traditions, mandalas may be employed for focusing attention of aspirants and adepts, as a spiritual teaching tool, for establishing a sacred space, and as an aid to meditation and trance induction. In the Tibetan branch of Vajrayana Buddhism, mandalas have been developed into sandpainting. They are also a key part of Anuttarayoga Tantra meditation practices.